Christmas Day was pretty much a non-event at the Ames compound. Like last year, the household followed a fairly normal routine. Old Oliver grumped about the poor weather and “bad carting.”* At Evelina’s, the servants were in Canton, at church presumably, with family and friends. They returned via stagecoach late in the day. Before they came back, Eveline “had a busy time” with the meals and cleaning, balancing the latter with a social call from her sister-in-law Henrietta Williams Gilmore. She also must have facilitated another piano lesson – the 19th one – for her daughter Susan and niece Emily. The indefatigable Miss M. J. Alger arrived to teach and stayed for dinner. For all their disinterest in what they saw as a Catholic holiday, members of the Ames family did show small signs of acknowledging the occasion. Here and there, they exchanged gifts; we saw it last year and see it again. Evelina made a gift to the minister’s wife, Eliza Whitwell, of a wool dress. As the years would go by and the generation of Fred, Oakes Angier and the others gained primacy, Christmas would come to resemble the holiday that we know, replete with gifts and church pageants and family dinners – but not while Old Oliver was alive. 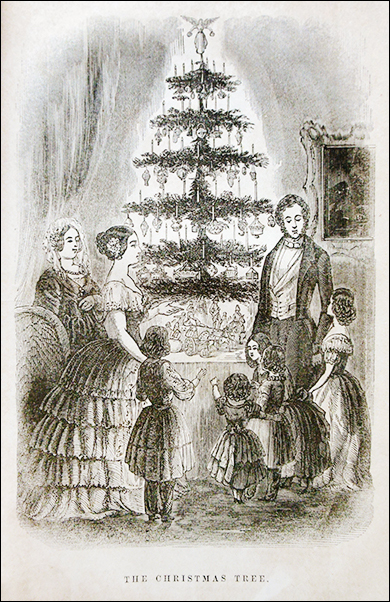 **Credit for the first Christmas tree at the White House is disputed by historians. Some say Benjamin Harrison was the first president to put one up, in the late 1880s. After midday dinner, when the storm had stopped, Evelina and her sister-in-law, Sarah Lothrop Ames, went out to check on Ann and John Swain, whose infant son had died on Saturday. Evelina would have taken with her the mourning accoutrements she had purchased for Ann in the city. No doubt the Ames women continued to comfort the forlorn parents. From the Swains they paid other calls in North Easton, to the home of Ephraim and Maria Wales and to see Evelina’s nephew, Alson “Augustus” Gilmore and his wife Hannah. Hannah had lost her infant son Willie back in the summer. The women would have had much to talk about. 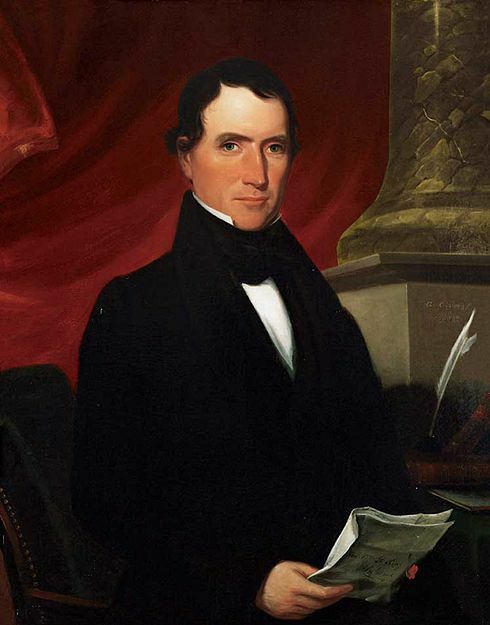 The vice-president-elect was William R. King, a senator from Alabama who believed strongly in the Union. He had helped draft the Compromise of 1850. Unfortunately, King was suffering from tuberculosis and would soon die in office, one of the shortest-termed vice-presidents and the only Alabaman. He was also the only vice-president to take the oath of office on foreign soil; he was in Cuba taking the cure when he was inaugurated. With the addition of all the new men’s shirts that Evelina had been sewing, the laundry this week was heaping. 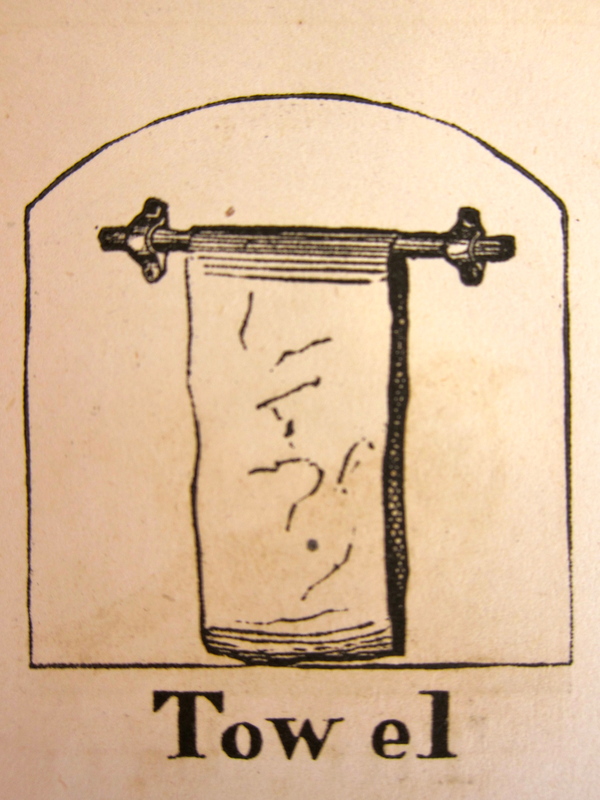 Two servants worked on the wash, while Evelina set items in starch. Fortunately, the day was sunny and the laundry could be hung outside. It was a busy Monday around the wash tubs. On or close to this date in 1852, a campaign biography of Franklin Pierce was published in Boston by Ticknor, Reed and Fields. 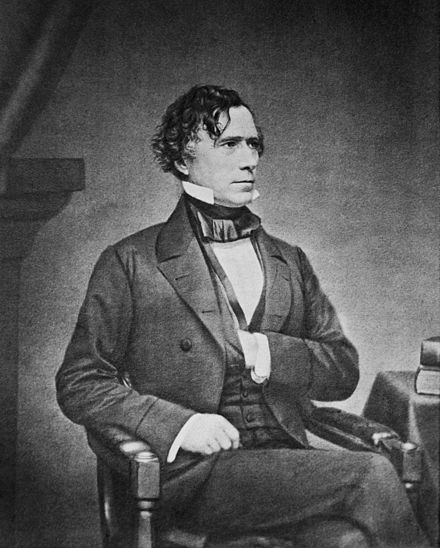 The Life of Franklin Pierce was written by Nathaniel Hawthorne, a friend of Pierce since their days at Bowdoin College. The purpose of the bio was to present the Democratic candidate to the voting populace at large, particularly in the areas of the country, such as the burgeoning northwest, where he was less well known. Publishing a biography was a typical campaign strategy at the time for major presidential contenders. Although Hawthorne, who was famous as the author of The House of Seven Gables, readily admitted that this kind of writing was “remote from his customary occupation,”* he threw himself into the project. He softened Pierce’s well-known pro-slavery stance by emphasizing his friend’s peaceful and pragmatic nature. He explained Pierce as believing that slavery would disappear on its own without human intervention. It needed no management or interference. In sour jest, some abolitionists and others responded that this biography was Hawthorne’s best work of fiction yet. As we know, Pierce did get elected; perhaps the campaign biography helped. With gratitude, Pierce appointed Hawthorne to a consulship in Liverpool, a lucrative post. Hawthorne needed the money. The two men remained friends for the rest of their lives, until Hawthorne’s death in his sleep in May, 1864, while visiting the Pierces. *Nathaniel Hawthorne, Life of Franklin Pierce, Boston, 1852, Introduction. Most of the Ames females decamped North Easton today and went into the city. Even Sarah Witherell, dressed in black, rode into Boston to go shopping. Were her sisters-in-law hoping to cheer her up with an outing? While Evelina and “the other ladies” went about Boston “most all day” in earnest pursuit of bonnets, furniture and more, a group of politicians was gathered in Baltimore some 400 miles south. The Democrats were holding their national convention for the nomination of their next presidential candidate. Among the ten to twelve gentlemen in the running were Senators Lewis Cass of Michigan, Daniel S. Dickinson of New York, Henry Dodge of Wisconsin, Stephen A. Douglas of Illinois and Sam Houston of Texas, Governor Philip Allen of Rhode Island, former Secretary of State James Buchanan, and former Senator Franklin Pierce of New Hampshire. The latter, a dark horse candidate, was chosen. After the Democrats’ gathering, another presidential convention would shortly be held in the same Baltimore hall, the Maryland Institute for the Mechanical Arts. This time, the Whig Party would meet and nominate Gen.Winfield Scott, hero of the Mexican-American War. Scott was the candidate that the Ames men would support. The Ames women couldn’t vote, of course.